FREE 2016 Introduce A Girl to Engineering Day Kit! 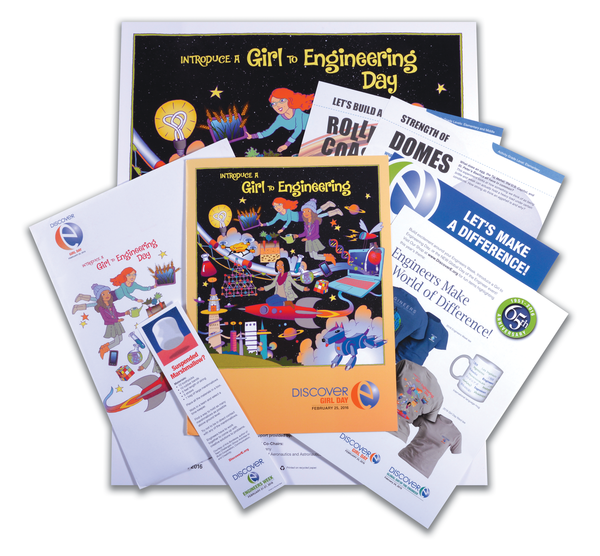 You are here: Home / FREEbies / FREE 2016 Introduce A Girl to Engineering Day Kit! Introduce a Girl to Engineering Day has become an annual event on the Thursday of Engineers Week. Kit contains the folded 2016 Girl Day poster, girl-friendly activities, and other resources! Just fill in and submit this online form to get a FREE 2016 Introduce A Girl to Engineering Day Kit!